In 1996 Bonnie Plants initiated the 3rd Grade Cabbage Program in and around headquarters in Union Springs, Alabama, with a mission to inspire a love of vegetable gardening in young people and grow our next generation of gardeners. By 2002 the program grew to become a national endeavor, including the 48 contiguous states. 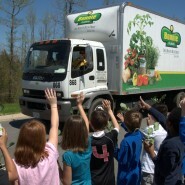 Each year, Bonnie trucks more than one million free O.S. Cross, or “oversized” cabbage plants to 3rd Grade classrooms across the country*, whose teachers have signed up for the program here. If nurtured and cared for, kids can cultivate, nurture and grow giant cabbages, some bigger than a basketball, tipping the scales, often over 40 pounds! The program awards a $1,000 scholarship to one student in each participating state. At the end of the season, teachers from each 3rd grade participating class select the student who has grown the “best” cabbage, based on size and appearance. A digital image of the cabbage and student is submitted online and that student’s name is then entered in a random statewide drawing. State winners are randomly selected by the Commission of Agriculture, in each of 48 participating states. 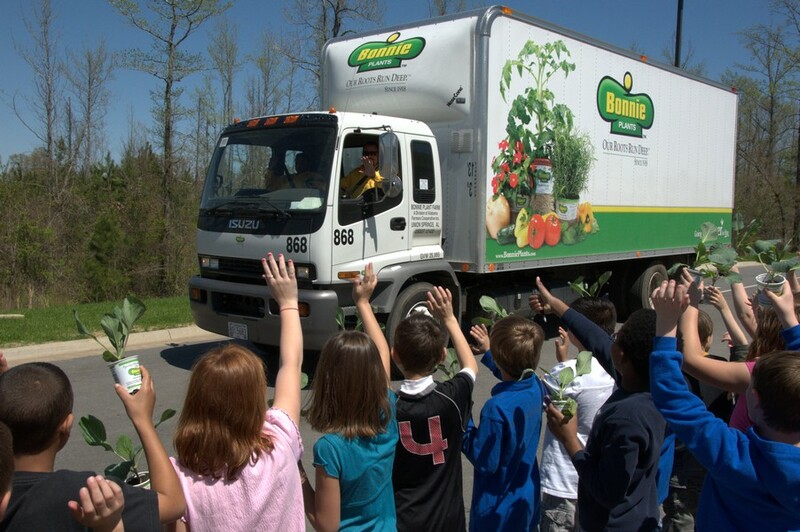 As one of the first companies to sponsor a national vegetable gardening initiative for kids, Bonnie Plants has delivered over 14 million cabbage plants nationwide, fostering an interest in gardening, healthy eating, and the environment along the way. Why a cabbage? Cabbages were the first profitable crop sold by Bonnie in 1918. The cabbages utilized for the program are the O.S. Cross variety, which is known for producing giant, oversized heads, making the process even more exciting for kids. To date, the largest cabbage grown tipped the scales at 75 pounds! Seeds for this program are generously donated by American Takii Seed Company, the breeders of O.S. Cross. This is an impressive old variety that was an All-America Winner in 1951. Click here to find out how the program works. * Exclusions: Alaska and Hawaii. Any member/employee/immediate family of Bonnie Plants and/or a Bonnie Plants affiliate is not eligible for inclusion and/or participation in the program, selecting a class winner and/or the random selection of a state winner. The term “immediate family” includes children, step children, siblings, step siblings, grandchildren, spouses, parents (including in-laws), step parents, and grandparents.